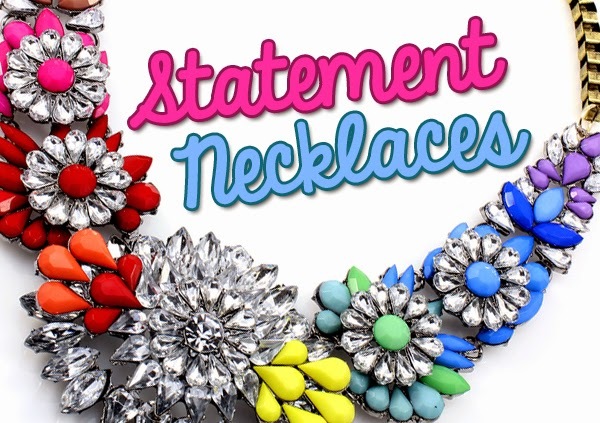 It's always kind of funny to me when I hear that statement necklaces are "in style" because they've never been out of style for me. Ever since I can remember, I've gravitated toward oversized (read: obnoxiously large, garish chest decorations) necklaces because, let's be real, huge necklaces are AWESOME. Add awesome points to that if the necklace also contains blindingly bright gemstones or several tiers of beading. Yeah, I'll take alllll o' that, please. 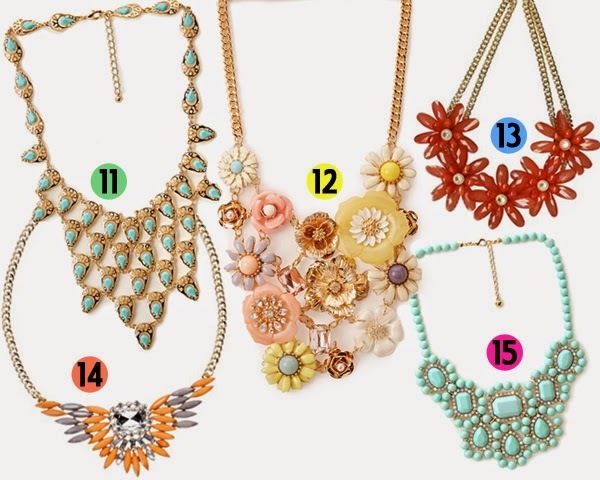 I have a nice stable of go-to giant necklaces, but I always like to fantasize about who I might add to that collection. You can generally find inexpensive statement necklaces at places like Target, H&M, Forever 21 or Claire's, but remember to look in unexpected places too; some of my most compliment-attracting necklaces came from random clearance piles at Sears, Yes, that Sears. They're out there making statements so start listening! 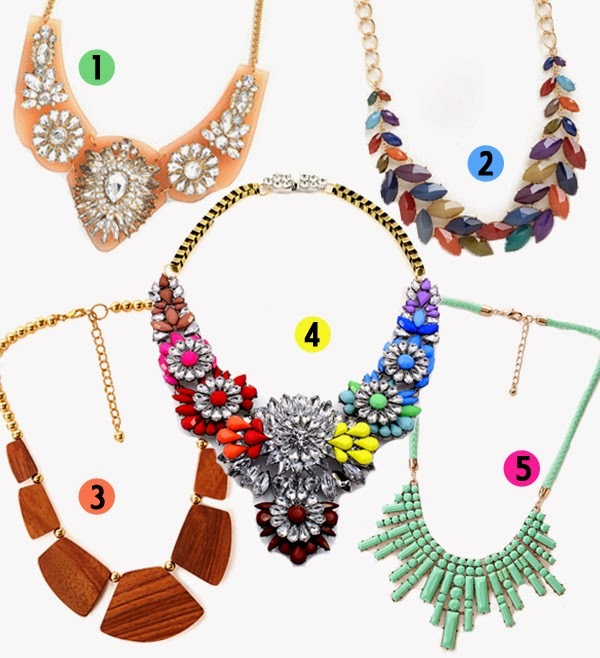 Are you into statement necklaces or are you more of a charm-on-a-chain kinda girl? Or maybe you love giant earrings? I just wanna know what you're wearing! 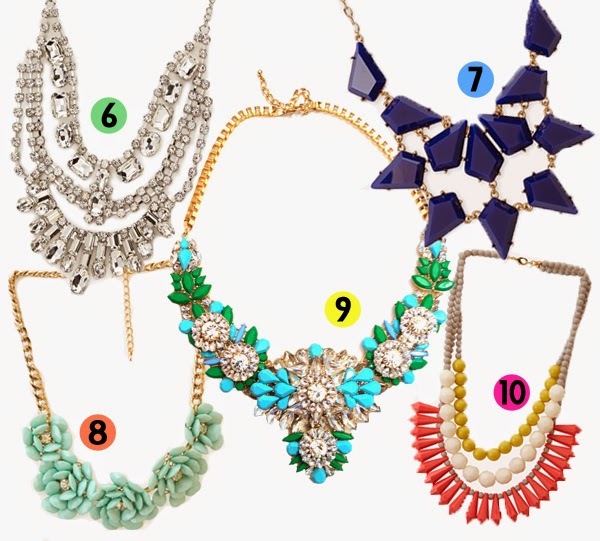 I love the look of huge necklaces and earrings, but I feel like I get a headache if I wear them too long. Especially with the earrings. But "beauty is pain" or something like that, I guess! I don't have that issue with necklaces, but I definitely agree about earrings! I felt it was a real sign of getting older when I finally decided to stop wearing huge and heavy earrings that pulled my lobes. Dood! Number 4 is craaaaazy but I love it. I like the giant necklaces too but they do get a little uncomfortable to wear. The metal on the back tends to catch on my clothes or with the cheap ones, turns my neck green in the Texas heat.